London Lions hold a narrow lead after Worcester Wolves rallied from 17 points down in first leg of BBL Play-Offs Quarter-Finals. 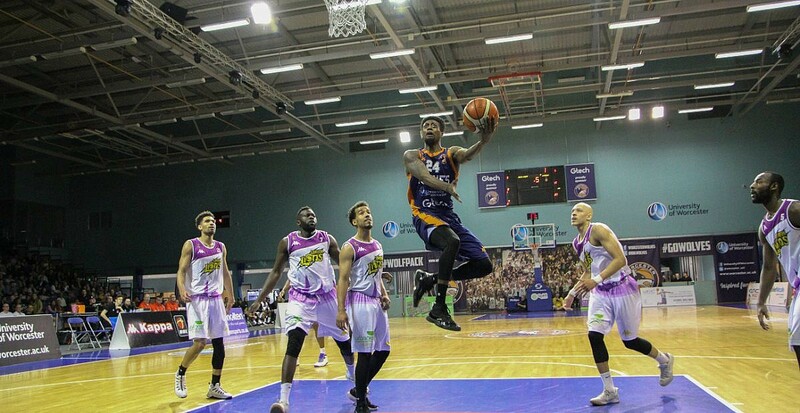 Worcester Wolves kept their Play-Offs hopes alive, despite suffering a narrow defeat at home to London Lions having rallied from a 17-point deficit. The second seeded visitors looked to be taking a commanding advantage back to the capital before a spirited response leaves the tie evenly poised ahead of Sunday’s reverse fixture. Turning point – London went 5-of-5 from downtown in the first quarter and put up 52 points in the first half, leading by as many as 17 in the contest before the Wolves’ fourth-quarter fightback. They took their first lead through Alejandro Navajas at the foul line before big shots from Justin Robinson and Dzaflo Larkai helped Lions take the win. Key stat – Worcester finished 17-19 at the free throw line and they clawed their way back by holding their opponents to single figures in the final quarter having conceded 76 through three. Game hero(es) – Justin Robinson fired in 28 points to lead the Lions, including a crucial go-ahead basket in the final minute, while George Beamon countered with 25 for Worcester to keep his side in contention ahead of the Second Leg.